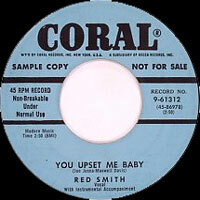 Chanteur Rockabilly US, Red Smith a enregistré chez Coral Records de New York. Il fut Disc Jockey sur KLLL de Lubock (Texas) en 1958. 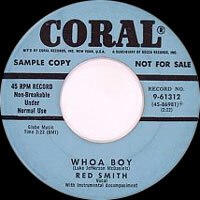 US Rockabilly singer, Red Smith recorded at Coral Records of New York. He was Disc Jockey on KLLL of Lubbock (Texas) in 1958.